Learn why ER visits for older adults increase up to 20% over the holidays. 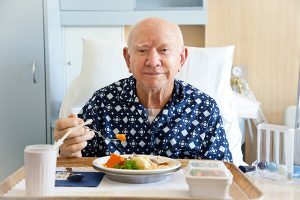 While we may envision a Norman Rockwell-worthy Thanksgiving celebration, with the whole family relishing high quality time with each other and Grandma’s classic feast, the reality for some families also includes something unforeseen: a hospital emergency room visit. Believe it or not, studies indicate that emergency room visits for older adults increase an astounding 10% – 20% through the holidays. Although identifying the precise reason regarding this increase is challenging, it seems logical that one component could be family members who haven’t spent time with an elderly relative during the months before the holiday season, visit and determine that the relative’s condition has deteriorated. Document important contact information for your loved one’s doctor along with other specialists. Include all medications prescribed by each health care provider and any drug allergies and other issues. Getting in touch with the correct physician is an excellent initial step over a hospital visit, except if your senior loved one is having a genuine emergency. Speak to your loved one about assigning a health care proxy, who can act as a voice for making healthcare choices in the event that your loved one is not able to do so. Ensure a living will is in place. Check in with the senior routinely throughout the year. For families who live at a distance, it could be helpful to engage the assistance of your loved one’s neighbors or friends to see the senior consistently and to help keep you up to date with any differences they notice. Give us a call at (907) 677-7890 to request a complimentary in-home assessment for more information on ways that we can help increase safety and overall wellbeing for your senior loved one in Matanuska-Susitna. To learn more about the other areas in Alaska that we serve, please visit our Service Area page. « Is Senior Care Leave a Benefit Employees May Have Access to in the Near Future?